Samsung has already released the long-awaited Android 9 Pie update for Galaxy S9/S9+ in the United States, but carrier-branded models were the only ones to receive it. All major network operators in the country, including AT&T, Sprint, T-Mobile, and Verizon have already updated their Galaxy S9 and S9+ devices to Android 9 Pie, which is disappointing for owners of the unlocked variants. 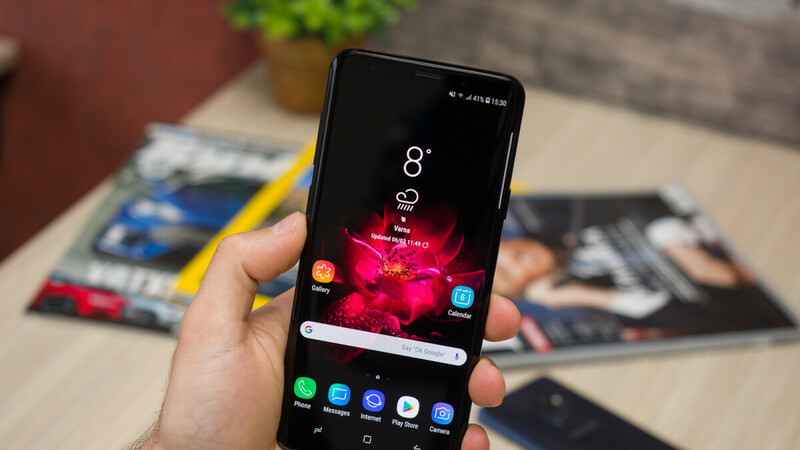 Although Samsung usually released updates to unlocked smartphones first, the company has another policy in the U.S. where carriers are the first to offer these major Android OS updates. It makes perfect sense since, without the help of these carriers, no important brand can achieve success on such a competitive market, especially when it comes to flagship devices. No matter, we've just been tipped that Samsung has finally kicked off the roll-out of Android 9 Pie update to the unlocked Galaxy S9 available in the U.S. Although we can't confirm it yet, there's a high chance that the unlocked Galaxy S9+ is getting the update as well. In case you're wondering, this is quite a sizable update, so make sure you have enough free storage available. As you can see in the screenshot attached to the article, the update weighs in at around 1.8GB and contains the January security patch, as well as the new One UI (user interface). Unlocked s9+ still no updated. It's about damn time you Panzis!! !